Markram Battles: Omens of Doom is finally here! Can I just say how excited I am to share Part II of the series with you? Yep. I am very excited. It has been an incredibly fun process and your support and love have made it all the sweeter. I’d like to congratulate the 5 lucky winners of the giveaway: Tawna, Mirel, Barbara, Debra, and Sarah. 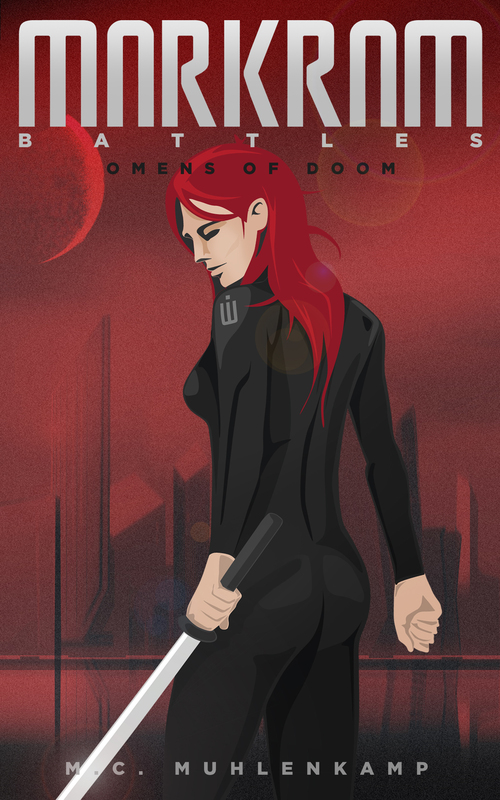 You should have instructions to download your free copies of Omens of Doom in your inboxes. If you didn’t sign up for my Newsletter in time, don’t worry, you can still do it. Just click on “Join M.C.’s Newsletter” on the top right corner of this page and you are good to go. Without further ado, here is a little teaser for Markram Battles: Omens of Doom. I hope you enjoy it! The glass walls of the Grand Hall glimmer under the silver light of the moon. The loud merriment and laughter of senators, Army officials, and Markram civilians echoes off its glass walls and throb in perfect harmony with the excitement. Colorful, exotic dishes, served to symbolize the newly conquered sector, lay atop white tables, arranged delicately in tiered platters. I make my way toward the food, eyeing it suspiciously, and find myself slightly impressed by the meticulous craftsmanship of the carved fruits. Senator Thirty-Two no doubt had humans prepare everything on display. My eyes scan the room and I smile in amusement. Board representatives, senators, and civilians, all dressed in formal attire, bounce from one unit leader to the next, like busy bees in search of pollen. They concentrate on the most popular leaders, as expected. Still, every unit leader in sight seems to drown in the midst of the inflated attention. I stiffen immediately, remembering the last training exercise we supervised together. Seven had just conscripted a pair of new recruits to offset the loss of two of his fighters and was practicing sword tactics with his unit when the Major General arrived without notice, supposedly to examine their progress. The memories of the incident flash through my mind with perfect clarity. The Major General’s gaze, though ambiguous and unreadable, moved across the training field. Something about her expression worried me. I fixed all of my attention on her black eyes, seemingly oblivious to my examination. I couldn’t find the slightest hint of her true intentions. I forced myself to look at Seven and his unit. His unit had won every battle so far, and even though other units had performed just as well, his unit, unlike any other, seemed to be the crowd’s favorite. Clearly, Seven’s techniques, combined with the unexpected performance of some of his fighters, had caught the interest of the spectators. The Major General liked to maintain control of everything and everyone within her grasp. I knew she felt Seven slipping away. As did I. “Or what?” she asked in her usual insolent tone. The unmistakable warmth in his tone surprised me. Even in the distance I could see Thirteen’s hands shaking, sending rippling vibrations through her arms and chest. “I hate you,” she said, her voice breaking. Seven leaned back slightly, the shock on his face quickly replaced by a mask of indifference. “Whatever makes you think I care?” He turned around and walked away. Thirteen’s nostrils flared in anger. 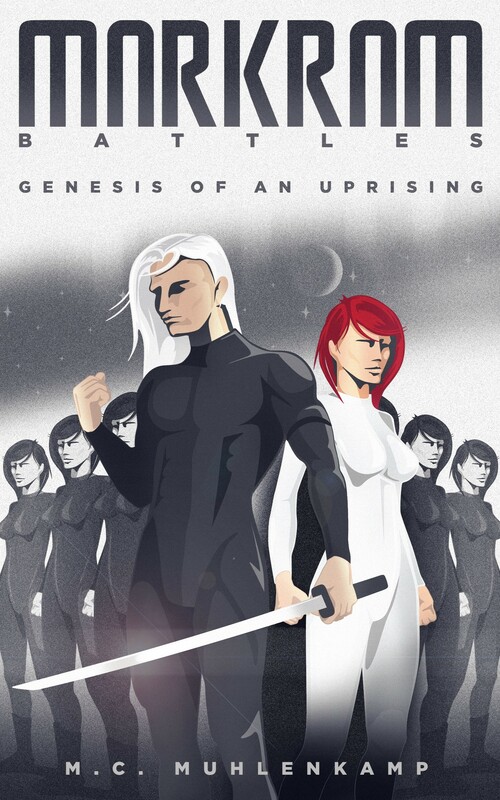 She unsheathed her sword and I frowned, knowing what she would do before it happened. Thirteen threw the sword in Seven’s direction. It landed on the ground next to him, immediately drawing every fighter’s attention. I clenched my fists, hoping Seven would act as the unit leader I trained, not the Markram boy infatuated with the human recruit. The Major General’s gaze was fixed on the exchange, her limbs rigid in anxious anticipation. Nine walked forward, her fear and uneasiness slowing every step like shackles around her ankles. She took her stance in front of him and waited. Seven grasped her throat. I saw him hesitate, considering what he was about to do. I swallowed hard. I had only seen him use his extrasensory ability to its full extent twice, and neither of those instances was something I wished to recall. Nine began quivering, her confused expression growing in pain with every passing moment. She brought her hands around her neck, fighting against his grasp like a wild animal. Seven lifted her off the ground while Nine squirmed and kicked relentlessly. Seven’s arm shook from the exertion, but he didn’t let go. Holding Nine while extracting every sense with the exception of pain, which only expanded its presence inside the victim’s mind, wasn’t easy. Most people were completely unaware of the fact that creatures of any race had a multitude of senses. Sight, hearing, taste, smell, and touch were only the most recognized. But they weren’t the only ones. Extracting the traditionally recognized senses usually worked without much effort; the victim lost consciousness instantly. Nine continued struggling because Seven was purposefully keeping her conscious until the very end of the extraction, which I knew required a massive amount of self-discipline on his part. Thirteen’s expression grew more distressed at the sight of Six stepping forward with the same fearful, yet obedient pace. Seven took hold of Six’s throat and repeated the sensory extraction, leaving only pain. “Stop it, Seven,” Thirteen demanded. “No! Please,” Thirteen cried out. Seven grasped Ten’s neck and extracted her senses in the same painful manner, letting her body fall atop the other unconscious fighters after he had finished. He repeated the process until every fighter with the exception of Thirteen lay on the ground. Thirteen’s chin quivered and, in spite of her obvious efforts to refrain from crying, tears began to stream down her cheeks. Seven remained immobile for a moment after the last fighter hit the ground, his shaky fingers revealing the regret that I knew coursed through him. Seven had never been a punisher. He had never encountered a situation, either in training or real combat, where anyone could force him to be cruel out of necessity. “It seems Seven is finally acting as he was trained,” the Major General said. “Inform Seven that Thirteen will be one of the fighters at the ceremony.” I nodded, then watched as she made her way down the corridor, all the while wondering how Seven would react to the news. “Your beliefs aren’t applicable anymore. Seven grunted. “Our opponents won’t hesitate to kill us and we are no good to anyone dead.” He glanced in my direction again, deepening the crease on my forehead. Something about his expression looked different, more at ease. I realized then that his previous demonstration of cruelty had been for the benefit of the Major General, not Thirteen. He must have sensed her leaving, just as he sensed our presence behind the glass in the first place.